Learn how easy-to-implement customizable technology is benefiting small businesses everywhere. Hosted VoIP phone systems can provide unprecedented communication-based resources that were traditionally cost prohibitive to most small to mid-size companies. 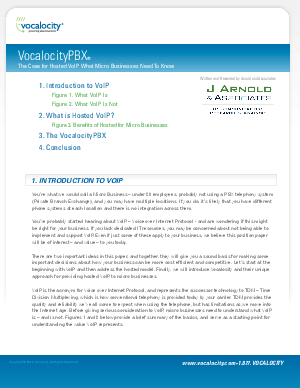 Learn about the phone system providers with the most cost effective and reliable voice quality and the benefits VoIP based technology can bring your business.